Ever since Oceanic Flight 815 survivor Sayid Jarrah tried to murder young Ben Linus in (5.10) “He’s Our You”, and fellow survivor Jack Shephard refused to operate on the 14 year-old to save his life in (5.11) “Whatever Happened, Happened”, I have heard comments that compared Ben to Adolf Hitler. I have also heard comments that compared Ben’s younger self to a “young Hitler”. Many people have claimed that it was Ben who had ordered the deaths of the Dharma Initiative members on December 19, 1992. However, I have my doubts. HURLEY: So… This is where you shot Locke and left him for dead, huh? BEN: Yes, Hugo, I was standing right where you are now when I pulled the trigger. Should have realized at the time that it was pointless, but… I really wasn’t thinking clearly. HURLEY: Is that why you killed all these people, too? BEN: I didn’t kill them. BEN: They did wipe them out, Hugo, but it wasn’t my decision. HURLEY: Then whose was it? HURLEY: But I thought you were their leader. ROGER: Why do you keep looking at your watch? You got a date? [Pauses] Listen…if it makes you feel any better, I will do my best to remember your birthday next year. ROGER: What do you mean? BEN: You know, I’ve missed her too. Maybe as much as you have. But the difference is, for as long as I can remember, I’ve had to put up with you. And doing that required a tremendous amount of patience. RICHARD: You want us to, um…go get his body? BEN: No, leave him out there. BEN: This is where I came from, John. These are my people. The DHARMA Initiative. They came here seeking harmony, but they couldn’t even coexist with the Island’s original inhabitants. And when it became clear that one side had to go, one side had to be purged, I did what I had to do. I was one of the people that was smart enough to make sure that I didn’t end up in that ditch. WIDMORE: I know who you are, boy. What you are. I know that everything you have you took from me. So… Once again I ask you: Why are you here? BEN: I’m here, Charles, to tell you that I’m going to kill your daughter. Penelope, is it? And once she’s gone… once she’s dead… then you’ll understand how I feel. And you’ll wish you hadn’t changed the rules. WIDMORE: You’ll never find her. WIDMORE: That island’s mine, Benjamin. It always was. It will be again. But had Ben assumed leadership of the Others by then? If not, does that mean Charles Widmore was still leading the Others in December 1992? Both the LOSTPEDIA and the WIKIPEDIA sites claimed that Richard Alpert had led the Others in the Purge against the DHARMA Initiative. But neither site made it clear who had ordered the Purge. And ”Dead Is Dead” never gave a clear date about when Widmore was exiled off the island. In the end, viewers know that Charles Widmore had been the leader of the Others in 1988-89, when Danielle Rosseau’s companions were killed and she gave birth to a daughter, Alex, before the latter was kidnapped by Ben Linus. Viewers also know that Richard Alpert led a group of Others in the Purge against the DHARMA Initiative on December 19, 1992. On that same date, Ben killed his father, Roger Linus, in a similar manner – toxic gas. 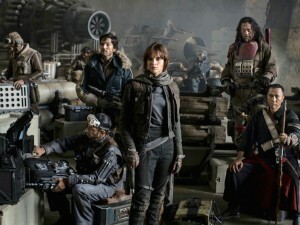 And viewers know that Widmore was eventually replaced by Ben as the Others’ leader and exiled off the island. If we only knew when Widmore had been exiled, perhaps the mystery of who had ordered the DHARMA Initiative Purge will finally be cleared. Some time ago, I had written a small article about a dish called Lobster Thermidor. Four years earlier, a similar dish that involved lobster meat cooked with eggs and alcohol was created on the other side of the Atlantic Ocean called Lobster Newberg. I was surprised to discover that Lobster Newberg was created by a sea captain in the fruit trade named Ben Newberg in 1875 or 1876. The latter created the dish from lobster, butter, cream, cognac, sherry, eggs, and Cayenne pepper. Following Newberg’s creation of the dish, he demonstrated the creation of the dish to Charles Delmonico, the manager of Delmonico’s Restaurant in New York City. Delmonico’s top chef, Charles Ranhofer, made refinements to the recipe before the former added the dish to the restaurant’s menu as Lobster à la Wenberg. The dish became very popular. However, an argument between Wenberg and Delmonico caused the dish to be removed from the menu. Despite this move, many of the restaurant’s patrons continue to request it. To satisfy their demands, the dish’s name was rendered in anagram Lobster à la Newberg or Lobster Newberg and return to the restaurant’s menu. The dish is still popular and can be found in French cookbooks, where it is sometimes referred to as “Homard sauté à la crème”. Into a large kettle of boiling salted water plunge the lobsters, head first, and boil them, covered, for 8 minutes from the time the water returns to a boil. Transfer the lobsters with tongs to a cutting board and let them cool until they can be handled. Break off the claws at the body and crack them. Remove the claw meat and cut it into 1/2-inch pieces. Halve the lobsters length-wise along the undersides, remove the meat from the tails, discarding the bodies, and cut it into 1/2-inch pieces. In a heavy saucepan cook the lobster meat in the butter over moderate heat, stirring occasionally, for 2 minutes, add 2 tablespoons of the Sherry and 3 tablespoons of the brandy, and cook the mixture, stirring, for 2 minutes. Transfer the lobster meat with a slotted spoon to a bowl. Add the cream to the Sherry mixture and boil the mixture until it is reduced to about 1 cup. Reduce the heat to low and stir in the remaining 1 teaspoon Sherry, the remaining 1 teaspoon brandy, the nutmeg, the cayenne, and salt to taste. Whisk in the yolks, cook the mixture, whisking constantly, until it registers 140°F. on a deep-fat thermometer, and cook it, whisking, for 3 minutes more. 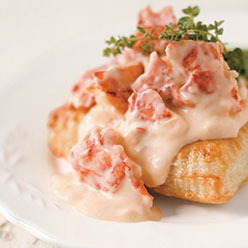 Stir in the lobster meat and serve the lobster Newburg over the toast. 1. 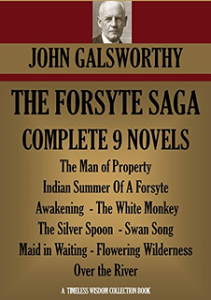 The Forsyte Saga (1906-1921) by John Galsworthy – Nobel Prize winning author John Galsworthy wrote and published a series of three novels and two interludes about members of an upper middle-class English family between the 1870s and 1920s. 2. 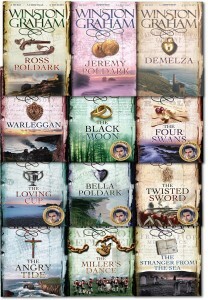 Poldark Saga (1945-2002) by Winston Graham – Set between 1783 and 1820 is a series of twelve novels about a former British Army officer and Revolutionary War veteran, his struggles to make a new life and renew his fortunes following his return to Cornwall after the war. 3. 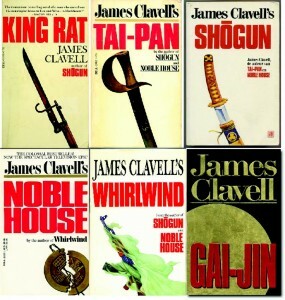 The Asian Saga (1962-1993) by James Clavell – This series of six novels centered on Europeans – especially the Struans-Dunross family – in Asia and the impact of both Eastern and Western civilization between the the early 17th century and late 20th century. 4. 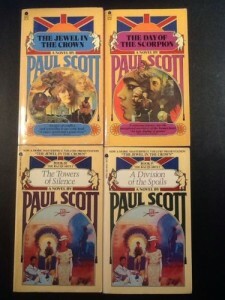 The Raj Quartet (1966-1975) by Paul Scott – Paul Scott wrote this four novel series about a group of Europeans during the last five years of the British Raj in India. 5. Flashman Papers (1969-2005) by George MacDonald Fraser – Journalist George MacDonald Fraser wrote a series of novels about the exploits of a cowardly British Army officer during the Victorian Age, between 1839 and 1894. The Harry Flashman character was originally a minor character in Thomas Hughes’ 1857 novel, “Tom Brown’s School Days”. 6. 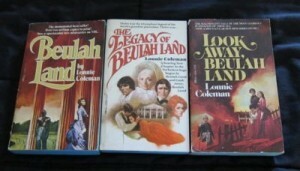 Beulah Land Trilogy (1973-1981) by Lonnie Coleman – This three-volume series told the saga of a Savannah belle named Sarah Pennington Kendrick and her years as mistress of a Georgia cotton plantation called Beulah Land, between the early Antebellum Era and the late Gilded Age. 7. 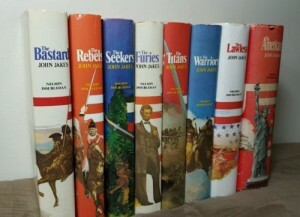 The Kent Family Chronicles (1974-1979) by John Jakes – Also known as “the Bicentennial Series”, author John Jakes wrote a series of eight novels to commemorate the United States’ 200th Bicentennial that centered on the experiences of the Kent family from 1770 to 1890. 8. 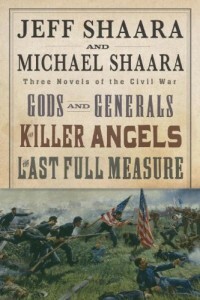 American Civil War Trilogy (1974; 1996-2000) by Michael and Jeff Shaara – Michael Shaara wrote the Pulitzer Prize winning novel, “The Killer Angels” in 1974, which was about the Battle of Gettysburg during the Civil War. A few years after his death, his son Jeff wrote both a prequel (set during the first two years of the war) and a sequel (set during the war’s last year); creating a trilogy of the three novels. 9. The Australians Series (1979-1990) by William Stuart Long – Set between the late 18th century and the late 19th (or early 20th) century, this literary series followed the experiences of the Broome family in Australia and other parts of the British Empire. 10. North and South Trilogy (1982-1987) by John Jakes – John Jakes wrote this literary trilogy about the experiences of two families – the Hazards of Pennsylvania and the Mains of South Carolina – between 1842 and 1876. 11. 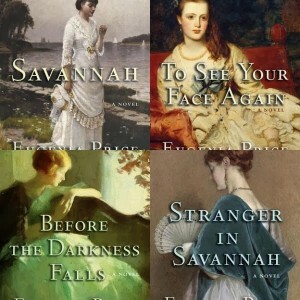 The Savannah Quartet (1983-1989) by Eugenia Price – The four novels that make up this series is centered around a Northerner named Mark Browning who moves to the birthplace of his Savannah-born mother and his relationships with his family, friends and neighbors between 1812 and 1864. 12. 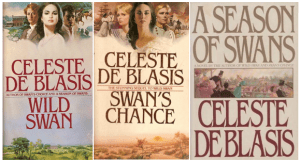 Wild Swan Trilogy (1984-1989) by Celeste De Blasis – Set between 1813 and 1894, this literary trilogy focused on a young English immigrant named Alexandria Thaine, her two husbands and her descendants in England and Maryland. 13. 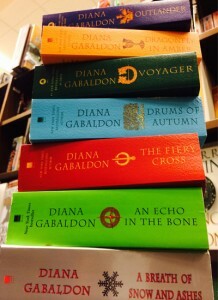 Outlander Series (1992-Present) by Diana Gabaldon – This current literary series focuses upon a World War II nurse named Claire Randall, who embarks upon a series of adventures after she travels back in time and fall in love with an 18th century Highland warrior named Jamie Fraser. I have a confession to make. I am not a big fan of Agatha Christie novels written after 1960. In fact, I can only think of one . . . perhaps two of them that I consider big favorites of mine. One of those favorites happened to be her 1964 novel, “A Caribbean Mystery”. 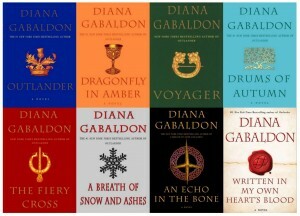 There have been three television adaptations of Christie’s novel. I just recently viewed the second adaptation, a BBC-TV production that starred Joan Hickson as Miss Jane Marple. This version began with Miss Marple’s doctor revealing to one of her St. Mary Mead’s neighbors that following a recovery from pneumonia, she had been treated to a vacation to a beach resort in Barbados managed by a young couple named Tim and Molly Kendal, thanks to her nephew Raymond West. Miss Marple becomes acquainted with another resort guest named Major Palgrave, a retired Army officer who tends to bore not her but others with long-winded stories about his military past. But while Miss Marple struggled between shutting out the verbose major and pretending to pay attention to him, the latter shifts his repertoire to tales of murder. When Major Palgrave announces his intention to show her a photo of a murderer, he suddenly breaks off his conversation before he can retrieve his wallet. The following morning, Major Palgrave is found dead inside his bungalow. And Miss Marple begins to suspect that he has been murdered. Two more deaths occurred before she is proven right. As I had earlier stated, the 1964 novel is one of my favorites written by Christie. And thankfully, this 1989 television movie proved to be a decent adaptation of the novel. Somewhat. Screenwriter T.R. Bowen made a few changes from the novel. 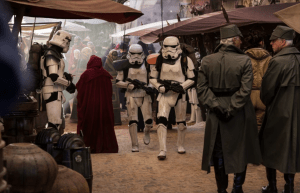 Characters like the Prescotts and Señora de Caspearo were removed. I did not miss them. The story’s setting was shifted from the fictional island of St Honoré to Barbados . . . which did not bother me. The television movie also featured the creation of a new character – a Barbados woman named Aunty Johnson, who happened to be the aunt of one of the resort’s maids, Victoria Johnson. The latter made arrangements for Miss Marple to visit her aunt in a black neighborhood. Aunty Johnson replaced Miss Prescott as a source of information on Molly Kendal’s background. More importantly, the Aunty Johnson character allowed Bowen to effectively reveal Imperial British racism to television viewers by including a scene in which the Kendals quietly reprimanded Victoria for setting up Miss Marple’s visit to her aunt. More importantly, I have always found “A CARIBBEAN MYSTERY” to be an entertaining and well-paced story – whether in print or on the television screen. Bowen did a excellent job in adapting Christie’s tale by revealing clues to the murderer’s identity . . . in a subtle manner. That is the important aspect of Bowen’s work . . . at least for me. The screenwriter and director Christopher Petit presented the clues to the television audience without prematurely giving away the killer. And considering that such a thing has occurred in other Christie adaptations – I am so grateful that it did not occurred in this production. However, “A CARIBBEAN MYSTERY” does have its flaws. Fortunately, I was only able to spot a few. First of all, I had a problem with Ken Howard’s score. I realize that this production is one of many from the “AGATHA CHRISTIE’S MISS MARPLE” series. But “A CARIBBEAN MYSTERY” is set at a beach resort in the Caribbean. One of those problems proved to be Ken Howard’s score. Considering the movie’s setting at a Caribbean beach resort, I figured Howard would use the appropriate music of the region and the period (1950s) to emphasize the setting. He only did so in a few scenes. Most of the score proved to be the recycled music used in other “AGATHA CHRISTIE’S MISS MARPLE” television movies – you know, music appropriate for scenes at a quaint English village or estate. Frankly, the score and the music’s setting failed to mesh. I also had a problem with a brief scene near the movie’s ending. This scene featured a brief moment in which an evil (and in my opinion) cartoonish expression appeared on the killer’s face before attempting to commit a third murder. I found this moment obvious, unnecessary and rather infantile. But the movie’s score and this . . . “evil” moment was nothing in compare to the performances of two cast members. I have never seen Sue Lloyd in anything other than this movie. But I am familiar with Robert Swann, who had a major role in the 1981 miniseries, “SENSE AND SENSIBILITY”. Both Lloyd and Swann portrayed a wealthy American couple from the South named Lucky and Greg Dyson. Overall, their performances were not bad. In fact, Lucky and Greg seemed more like complex human beings, instead of American caricatures in the movie’s second half. But their Southern accents sucked. Big time. It was horrible to hear. And quite frankly, their bad accents nearly marred their performances. But I did not have a problem with the production’s other performances. Joan Hickson gave a marvelous performance as the elderly sleuth, Miss Jane Marple. I especially enjoyed her scenes when her character struggled to stay alert during Major Palgrave’s endless collection of stories. She also had great chemistry with Donald Pleasence, who gave the most entertaining performance as the wealthy and irascible Jason Rafiel. What made the relationship between the pair most interesting is that Rafiel seemed the least likely to believe that Miss Marple is the right person to solve the resort’s murders. Both Michael Feast and Sheila Ruskin gave the two most interesting performances as the very complex Evelyn and Edward Hillingdon, the English couple who found themselves dragged into the messy history of the Dysons, thanks to Edward’s affair with Lucky. I found both Sophie Ward and Adrian Lukis charming as the resort’s owners, Molly and Tim Kendal. I was surprised that the pair had a rather strong screen chemistry and I found Ward particularly effective in conveying Molly Kendal’s emotional breakdown as the situation at the resort began to go wrong. “A CARIBBEAN MYSTERY” also benefited from strong performances given by Frank Middlemass, Barbara Barnes, Isabelle Lucas, Joseph Mydell, Stephen Bent and Valerie Buchanan. There were a few aspects of “A CARIBBEAN MYSTERY” that rubbed me the wrong way. I felt that most of Ken Howard’s score did not mesh well with the movie’s setting. I also had a problem with a scene in the movie’s last half hour and the accents utilized by two members of the cast. 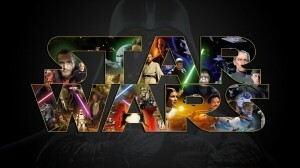 Otherwise, I enjoyed the movie very much and thought that screenwriter T.R. Bowen, director Christopher Petit and a fine cast led by Joan Hickson did a more than solid job in adapting Agatha Christie’s 1964 novel. One of the more . . . uh, interesting dishes that has recently attracted my attention is the British dish known as Stargazy Pie. Created in the county of Cornwall, the dish is also known as Starrey Gazey Pie. The dish is a pie made from baked pilchards (sardines), eggs and potatoes and covered with a pastry crust. Other variations of fish have been used for the pie. However, the dish is unique for having fish heads (or tails) protruding through the crust, so that they appear to be gazing skyward. This allows the oils released during cooking to flow back into the pie. The pie originated from the fishing village of Mousehole in Cornwall to celebrate the bravery of a local fisherman named Tom Bawcock in the 16th century. According to legend, a particularly stormy winter prevented Mousehole’s fishing boats from leaving the harbor. The villagers were on the verge of facing starvation, as Christmas approached, for they depended upon the pilchards as a primary food source. Two days before Christmas, Bawcock had decided to face the stormy weather and head out into the water. Despite the difficult sea, Bawcock managed to catch enough pilchards and six other types of fish to feed the entire village. Some of the fish caught by Bawcock was baked into a pie, with the fish heads poking through to prove that there were fish inside. Ever since then, the Tom Bawcock’s Eve festival has been held on 23 December in Mousehole. During the festival, villagers parade a huge Stargazy Pie during the evening with a procession of handmade lanterns, before eating the pie itself. However, there have been rumors that the entire festival was a myth created by The Ship Inn’s landlord in the 1950s. However, an author on Cornish language named Morton Nance had recorded the festival in 1927 for a magazine called Old Cornwall. He believed that the festival actually dated by to pre-Christian times, but expressed doubt that Tom Bawcock ever existed. The original pie included sand eels, horse mackerel, pilchards, herring, dogfish and ling along with a seventh fish. In a traditional pie, the primary ingredient is the pilchard, although mackerel or herring was used as a substitute. 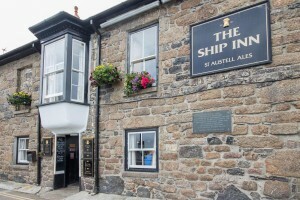 Richard Stevenson, chef at The Ship Inn in Mousehole, suggests that any white fish can be used as the filling, with pilchards or herring just added for the presentation. For the mustard sauce, bring the stock to the boil in a non-reactive saucepan. Whisk in the crème fraîche, mustard, salt, mustard powder and lemon juice until well combined. Bring back to the simmer. Pass the sauce through a fine sieve into a jug and set aside. For the pie, cook the bacon in boiling water for 20 minutes. Drain, then allow to cool slightly before chopping into lardons. Bring another pan of water to the boil and cook the baby onions for 6-7 minutes, or until tender. Drain and refresh in cold water, then slice each onion in half. Set aside. Preheat the oven to 400F/Gas 6. Roll out the puff pastry until 3-4mm thick, then cut into 4 equal-sized squares. Using a small circular pastry cutter the size of a golf ball, cut out 2 holes in each pastry square. Place each square on a baking tray and brush with the beaten egg yolk. Chill in the fridge for 15 minutes. Bake the pastry squares in the oven for 18-20 minutes, or until golden-brown and crisp. Turn the grill on to high. Place the sardine fillets, heads and tails on a solid grill tray, brush with the oil and season with salt and freshly ground black pepper. Grill for 2-3 minutes, or until golden-brown and just cooked through (the fish should be opaque all the way through and flake easily). Heat a frying pan until medium hot, add the butter and bacon lardons and fry gently for 3-4 minutes, or until golden-brown. Add the onions and stir in enough sauce to coat all the ingredients in the pan. Reserve the remaining sauce and keep warm. Bring a small pan of water to the boil, add the vinegar and a pinch of salt. Reduce the heat to a simmer. Crack the quail’s eggs into a small bowl of iced water, then pour off any excess (there should only be just enough water to cover the eggs). Swirl the simmering water with a wooden spoon to create a whirlpool effect, then gently pour the quails’ eggs into the centre of the whirlpool. Poach for about 1-2 minutes, or until the egg whites have set and the yolk is still runny. Remove with a slotted spoon and drain on kitchen paper. To serve, divide the onion and bacon mixture between 4 serving plates. Arrange the sardine fillets on top, then place four poached quails’ eggs around the fillet. Using a stick blender, blend the remaining sauce until frothy. Spoon the froth over the top of the sardines and eggs. Top each pile with the puff pastry squares, then place the sardine heads and tails through each hole in the pastry. Serve immediately.